Who Calls the Shots in Specifications? 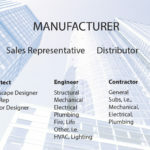 More and more manufacturers today are concentrating their sales and marketing efforts on becoming and being the “basis of design.” There is a belief that if your product is “tagged” as the “basis of design,” the company has more of a chance of getting their product purchased and installed. While for some products and in some projects that may indeed be the case, overall the path to product purchase is difficult and involves many variables. There are numerous professionals involved in making decisions on what products are actually purchased despite specifications. These include facility owners, architects, interior designers, engineers, contractors and others. Where should a product manufacturer concentrate efforts? The paper contains graphs and charts demonstrating the findings from AIM, who used the ConstructConnect™ database and interviews with architects, designers, contractors and more. The analysis, which used the “faucet” as a typical common product, included a search of over 30,000 specifications over a three-year period. The data indicate that overall, only 7% of the faucet specifications included a “basis of design” specification. “This type of analysis applies to other products,” Nowakowski said, “And the white paper explores some of these.” The paper offers four important findings around basis of design, and it answers questions such as, “Is it important for a manufacturer to be listed as “the” brand in a “Basis of Design” faucet specification?” It also explores the role of the architect and designer in the basis of design specification including verbatim quotations from interviews conducted by AIM for this research.